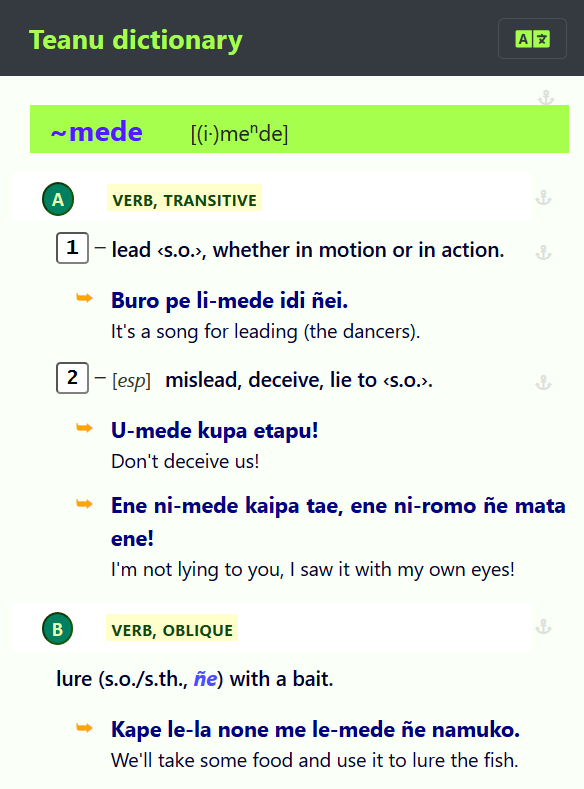 Welcome to the 2019 online version of my Teanu – English dictionary. You can either download a Pdf version of the Teanu dictionary; or access the electronic version by clicking on the screenshot. Teanu (a.k.a. 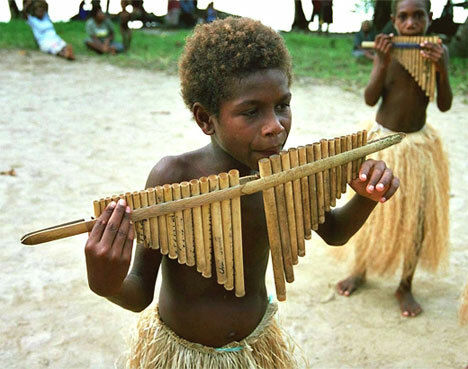 Puma or Buma) is an Oceanic language spoken on the island of Vanikoro, in the province of Temotu, on the eastern tip of the Solomon Islands. With about 800 speakers, it is the largest language spoken on the island: it has replaced the two other languages Lovono and Tanema, with respectively 4 and 1 speaker(s) today. [For more on this, see these maps, or my 2009 article]. 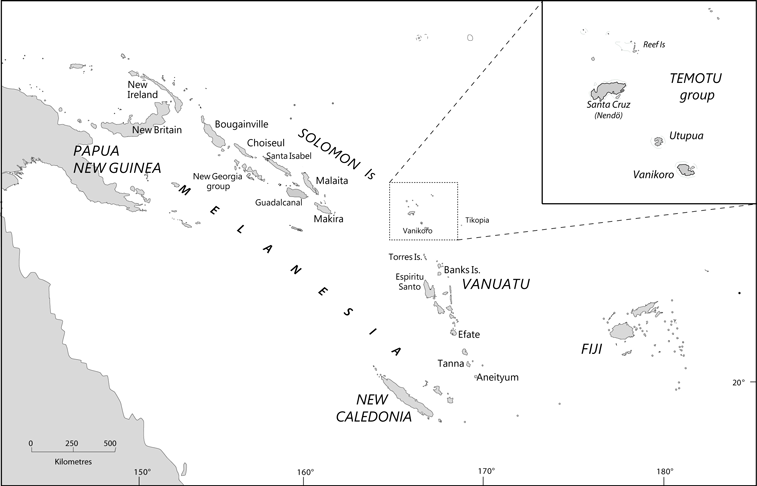 Teanu’s vocabulary is quite original compared to other Oceanic languages – including the languages of the Reefs–Santa Cruz, supposedly related closely to Vanikoro languages. The present online Teanu dictionary is still very much in progress, due to the various projects I am committed to. While some entries are already reasonably detailed (e.g. ~botongo ‘impede, protect, take care’), others still need to be written. The published version will contain an introduction explaining typographical conventions and other elements useful to the reader. Feel free to contact me for any follow-up question regarding this dictionary.